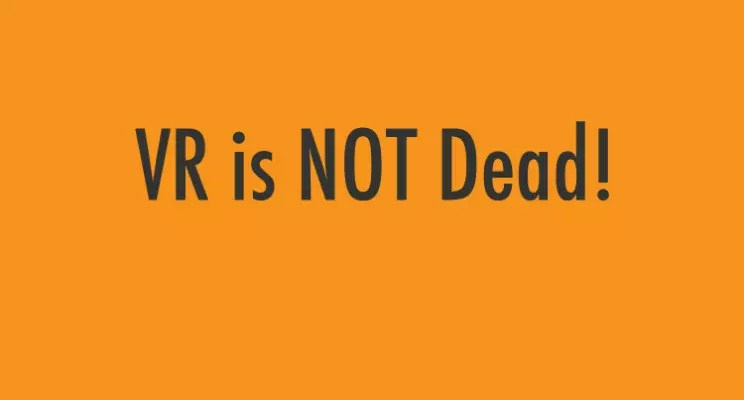 VR is NOT Dead! Nokia has other priorities, but VR is not dead. In light of Nokia‘s announcement today to pull out of OZO VR hardware, I would like to clarify a few things. In early August, I decided to leave my job as Head of VR technologies’ business unit at Nokia Tech. This VR technologies unit was not responsible for the hardware and the camera. OZO was released before I joined Nokia in March 2016. Rather, along with my great team, we focused on software and technology licensing, which Nokia decided to keep investing and developing. Nokia’s decision – is clear from the announcement – will only put a stop on the hardware. The work we did as VR technologies team is not affected until this moment. (At least this is how I read the announcement). During the last 18 months, we achieved some astounding breakthroughs. Releasing new products was one but closing deals and executing sizable Live VR productions, such as UEFA final with BT, Coachella and many others, is something we are all proud about. OZO SDK is now the leading playback solution for premium VR services. Striking deals and establishing partnerships with leading partners, such as Neulion, Deltatre, Accedo, AWS Elemental, and Qello, is something we are beyond proud of. We released OZO Audio, the best-in-class spatial Audio technology for smartphones and cameras. closed the HMD global deal to implement OZO Audio within their flagship Nokia 8 and all within a year. This is another great achievement by the astonishing VR technologies team. Nokia’s decision to keep the technology licensing business alive is proof that we did well, and how great the VR Tech team is. A small group of talented and passionate professionals, which believed and still believe that they could shape and change an entire industry. I am proud of each one of you, and I am lucky to have worked with you. VR is NOT dead. The VR industry is in slow but steady growth, heading in the right direction. The hype is behind us, industry-leading companies and individuals are now more realisti., We now know what works and what doesn’t and are learning every day. We are focusing now on bringing more compelling VR content to the consumer. To achieve that, we have to approach it holistically by working on multiple fronts simultaneously — technology, content, and the right business models. It is just a long game, and everybody that wants to invest and be in the VR business should know that from day one and set the expectations based on this fact. And for sure, deliver good products, position it well, and put the right price tag! My next chapter has started already. I just established “Holo Media”, a digital media and consultancy firm with a focus on emerging and immersive technologies such AR and VR. Check our LinkedIn page and the website, www.holomedia.io, will be live this weekend. A couple of industry experts have joined me in this venture. I will name Khurram Rafique, that I had the chance to work with at Nokia when he was leading our marketing. He is a seasoned marketer, MIT graduate, and fun to work with. Also Rola Najem, a well-known digital producer, and content developer. Rola will be focusing on the content side of our business. I will keep up my blogs and publish at the same pace. Here is my latest, “Back to the Future, from Aladdin to Oculus”, and stay tuned for the next blog to read about the opportunities that AR could bring to Hollywood studios and the film industry.